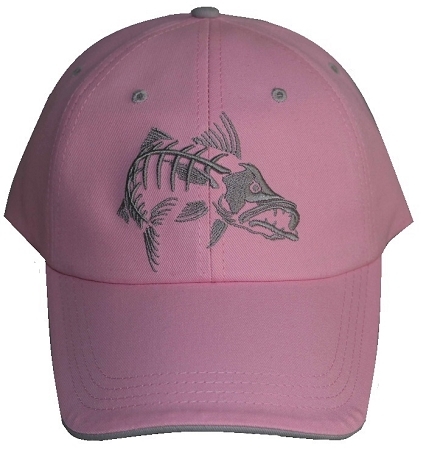 Pink Jumbo Snook Design Fishing Cap with silver trim and embroidery. Comfortable, 100% cotton brushed twill - Get Reel…Get Fish! embroidery on rear velcro closure. Great authentic bonefish style serious fisher hat. NOT JUST FOR LADIES - REAL MEN WEAR PINK TOO! !